Planned and developed by the PARC Group, Nocatee Homes are in hot demand in Northeast Florida! Currently Nocatee sits as the 3rd best selling master-planned community in America based on a recent news story by the Business Journal. Made up of over 26 unique neighborhoods, Nocatee is planning on some 12,000 homes in future years of build out. Nocatee sits on a site in north St Johns County and occupies 13,323 total acres full of communities, world class amenities, and conservation land. Listed for sale below are homes on the market in the Nocatee community of Northeast Florida. We have a special arrangement with the Nocatee MLS to market all homes listed for sale in Nocatee including resales and new construction. This list is updated every 15 minutes directly from our data connection with the local MLS. If you have any questions about the homes you see for sale here, please reach out and we will supply you with any info we can collect or will schedule an in-person showing of the home for sale. Why is Nocatee So Popular? Affordability: New construction homes built within budget of many. Wide array of available home prices: Nocatee is made up of many communities and each within their own price range. Master Planned Community: Resort style feel in a suburban setting is extremely attractive to most! Proximity to the Beach: Within 15 minutes, you'll have your toes in the sand... probably faster actually. Proximity to boating: Nocatee borders the Intracoastal waterway, and you have access to put your boat in very close by. Schools: St Johns is a top rated school location in the state of Florida, and Nocatee is helping to lead that charge. Lifestyle: If you like that resort style living, it's hard to beat the lifestyle in Nocatee with a sense of community, shops, schools, golf carts zooming around, and top level amenities at your fingertips. 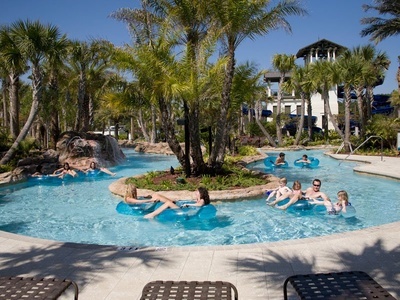 Nocatee has recently ranked as the 5th best selling community in the nation! Not a bad start for a community that is really in the beginning phases! It wasn't long ago in Jacksonville and Ponte Vedra that Nocatee was just this future dream that we had all read so much about. Now it is a full reality with an active and growing population. I'm seeing many Jacksonville residents deciding to uproot, sell their existing home, and move to Nocatee for that full country club lifestyle that is just minutes to the beaches. From first time home owners to growing families to the recently lucky enough to retire residents, Nocatee has a spot for just about everyone. Prices are affordable for most and homes are available at just about every level of construction from the just above basic to the full luxury build outs offer by a plethora of custom home builders. Looking to buy a Nocatee home? Your purchase of a new construction home in Nocatee or an existing home in Nocatee is a huge investment for yourself and your family. You need a professional Nocatee Realtor on YOUR side of the transaction. As your Nocatee Realtor, we work hard and make sure you get the best deal available while looking after your best interest. Call us and we can help today! Sometimes it's best to just see for yourself! Let us know as soon as you'd like to visit, and we'll jump through hoops to help you find the right community, right home, and get the best deal that's available in Nocatee. Nocatee was initially planned with 3 golf courses but are not currently in the building stage of these golf courses in Nocatee. The developers have recently reported that they've entertained several companies who would purchase some of the land designated for a golf course in Nocatee, and that company would develop the course. However, those plans have always fizzled. Siting the abundance of golf courses in northern St Johns County, the developers currently have no plans to begin construction on the golf courses in Nocatee. When choosing Nocatee, we think it's very important to decipher the pros and cons of new construction vs resales. There are huge pros to both, and we'd be more than happy to discuss each type of home available in Nocatee. Connect with Brad Officer, and let's chat about Nocatee Homes! Major advantages when buying a resale home: you are usually getting more bang for the buck, because the previous owners have undoubtably put a lot of money into "homing up" the home. What the heck does that mean?!?!??? That's all that little stuff you probably didn't think about like upgrading the lighting, adding ceiling fans, adding shelves where needed, bumping up the landscaping, adding the firepit, etc... the list is endless, but it's also a very expensive list of upgrades / features the pre-existing home owners have already purchased for you.